Read on to find out which other factors affect the silver market price today. 1. US dollar stability is the top silver market price indicator. If the dollar is strong, the silver market price is low, and vice versa. The market price of gold is also in strong reverse correlation with the value of US dollar. 2. World silver market supply is another important factor in determining silver market price. If the supply is high, the silver market price is to stay low. However, it’s believed that world’s silver deposits are being diminished at a rate of 5% a year, so in the coming years we are going to face real silver deficit. 3. World silver market demand is also known to drive the market price of silver up. If businesses and individuals are actively buying silver bullion coins and bars, the silver market price is usually on the rise. 4. Extreme industrial demand on silver is caused by a plethora of new electronic devices entering the market in the recent years like smart phones, computers, plasma TV’s and many more. Many of these smart devices require substantial silver components for proper functioning. 5. Unemployment rate is also another important economic indicator affecting the price of silver. 6. Hyperinflation is absolutely guaranteed to send silver market price sky high. 7. Government policies can have incredible effect on the market price of silver. 8. Investor fears about extremely volatile stock market and the dwindling value of the US dollar are pushing them into stocking up on silver and gold investments. 9. World’s overall economic situation is really another important driving force for the spot price of silver that inevitably affects the price of tangible silver bullion products and even intangible silver futures. 10. The rising population in the world’s biggest silver consumers like China is destined to affect the price of silver. 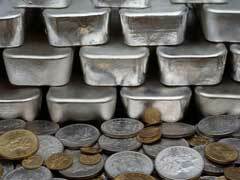 If you are wondering where to buy silver bullion, read our other article on similar topics.